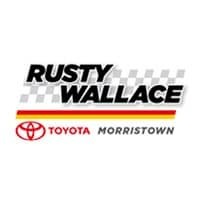 The latest Toyota RAV4 has earned top reviews for its reliability, comfort, and style – so why not take it for a spin at Rusty Wallace Toyota in Morristown? We recommend the new Toyota RAV4 Limited for its well-appointed interior, state-of-the-art safety features, and available Dynamic Torque-Control all-wheel drive. Visit our dealership, near Knoxville and Sevierville, and experience our Toyota SUVs in person! The best way to experience the new Toyota RAV4 Limited is to take it for a spin. Our experts are ready to introduce you to this stunning new Toyota SUV, so drop by Morristown for a test drive!